Which Linear Recumbent Bike is best for you? 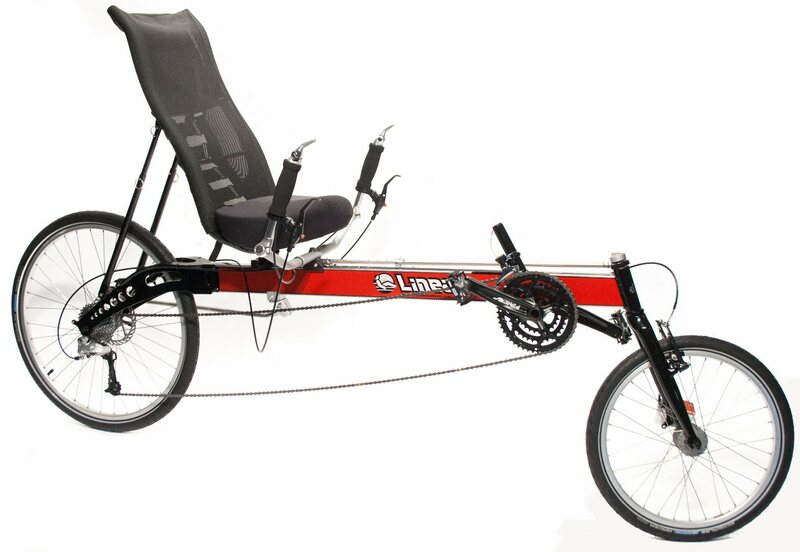 We want to help you make a good decision choosing between our Linear Recumbent bicycle models. We'll decipher the alphabet soup of recumbent terms: LWB & SWB, USS & OSS. The first decision is whether to go with a Long Wheel Base (LWB) or Short Wheel Base (SWB). Our Linear Limo is an example of a LWB recumbent. LWBs are usually thought of as comfortable, long distance touring machines. The long frame soaks up the bumps and gives more relaxing handling. 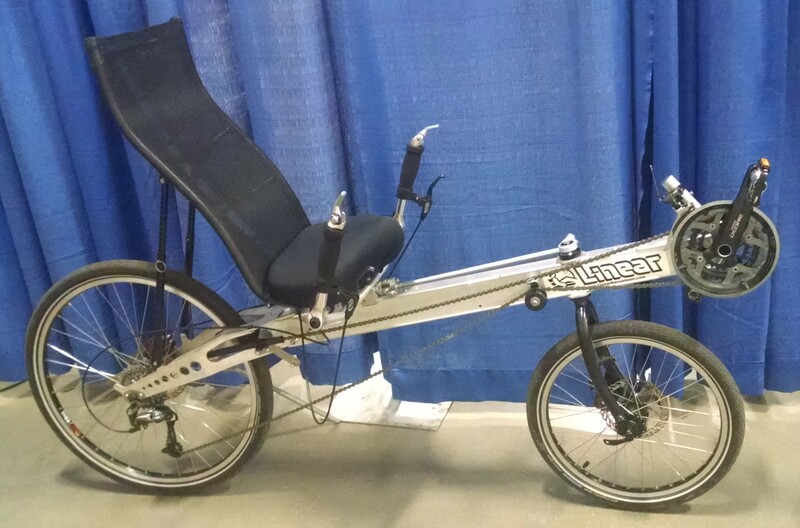 These recumbents tend to go in a straight line, great for long, relaxing rides. The pedals are lower and the seating position is more upright so you can get on and off easier and see and be seen by traffic. This style seems to be slightly more beginner friendly. 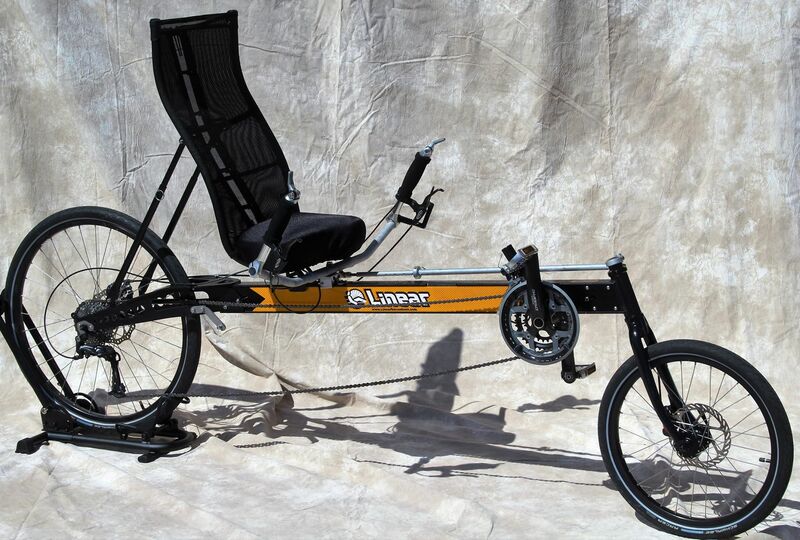 Our Linear Roadster is an example of a Short Wheel Base (SWB) recumbent. SWBs are usually thought of as a sport-touring or "racy" recumbents. 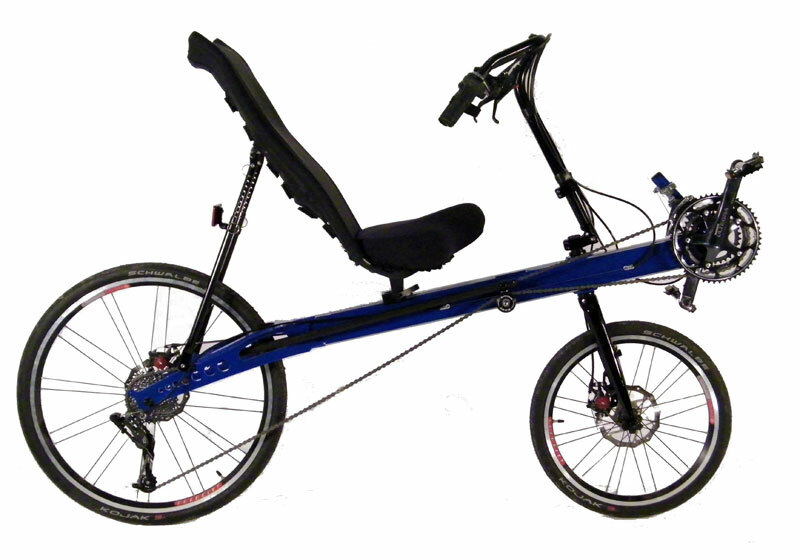 The shorter wheelbase makes for a lighter recumbent that is easier to transport. With quicker handling SWB bikes are usually better at tight U turns. The pedals are higher so the seating position is more reclined. This recline does two things for you: it leans you back for a smaller frontal area cutting your wind resistance and makes for a more powerful body position for better hill climbing. Think of it like a leg press machine at the gym - you push straight out from the hip and use more of your powerful glute muscles. People who ride a lot of hills like we do here in the Finger Lakes of New York tend to choose a SWB. The second big decision is Under Seat Steering (USS) or Over Seat Steering (OSS). 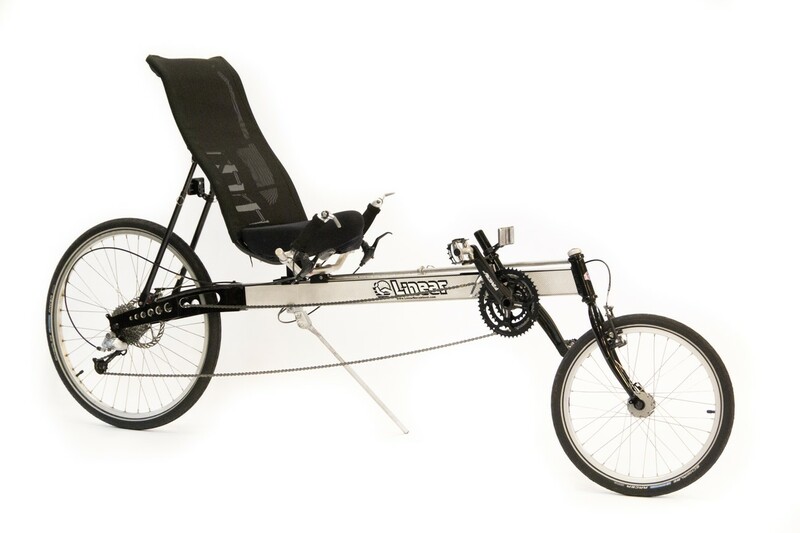 Most Linear recumbents are USS because we feel that having your hands resting on the controls at your side is a more natural and comfortable way to ride. There is less pressure on your wrists or hands and you don't have to hold your arms at shoulder height on a long ride. The view is way better too because there is no handlebar between you and the scenery around you. Our Linear Limo is available with USS and our Roadster is available with either USS or OSS. There really is no wrong answer to which style of recumbent is right for you. I have ridden SWB recumbents on multi day tours and LWB recumbents up plenty of hills and had a great time doing it. Trying out different styles is what makes discovering recumbents so much fun in the first place. When possible we recommend trying a variety of bikes before buying. We know this isn't always an option and are here to help you make your decision a good one.